Kesk Florida Eesti Selts Celebrates EV100 With Heart: Elagu Eesti! 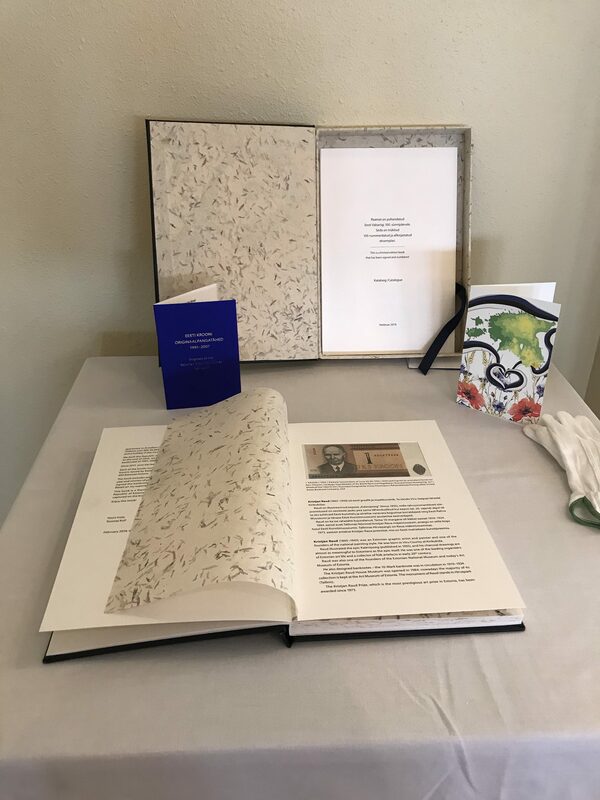 The Estonian Society of Central Florida/Kesk Florida Eesti Selts (KFES) hosted a joyful, heartfelt and sometimes tearful program celebrating the 100th anniversary of the independence of the Republic of Estonia at Feather Sound Country Club, Clearwater, on Saturday, March 10, 2018. 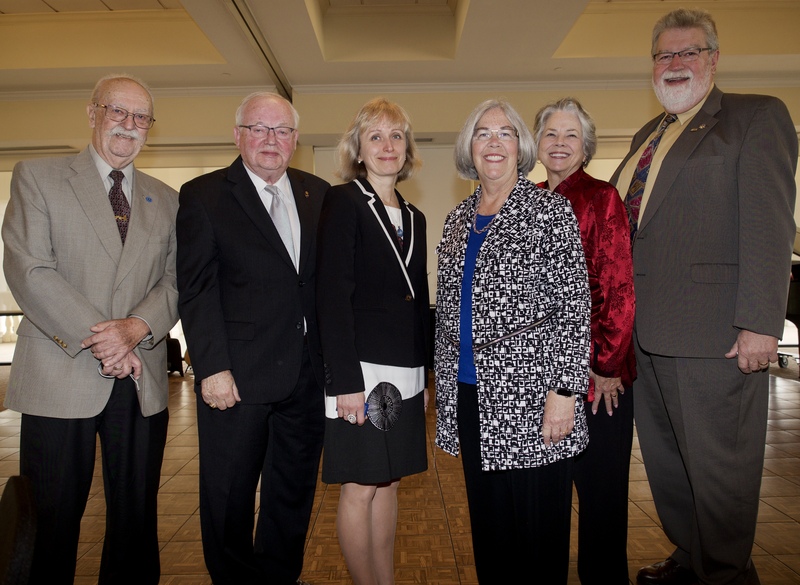 This event, dedicated to the centenary of the Republic of Estonia, registered 85 guests—KFES members and friends from the wider Tampa Bay region and beyond. Anneliis Kuusik welcomed our guests at the door. Dallas Dishmey watches as Chloe and Brook Cabrera excitedly enter the grand ballroom. Many of our guests were proud to wear their rahvarõivad! We were joined by several special guests including The Honorable Ms. Kairi Künka, Consul General of Estonia, New York City; The Honorable Mr. Arne Roostna Reinwald, Honorary Consul of Estonia, Valencia, Venezuela; Mr. Al Karnavicius, Honorary Consul of Lithuania, St. Petersburg, Florida; and Mr. Juris Epermanis, President of the Latvian Association in St. Petersburg, Florida. The program was divided into three parts. Part I, introduced by Kaie Põhi Latterner, included the presentation of the American and Estonian flags; the reading of Sini-Must-Valge (Aale Oengo-Kingo) and the singing of Eesti Lipp (Martin Lipp and Enn Võrk); the singing of the American National Anthem; welcome remarks from Ms. Kersti K. Totsas Linask, President of the Estonian Society of Central Florida/Kesk Florida Eesti Selts; the performance of the song Hoia Jumal Eestit (J. Aavik, L. Raudkepp) by KFES members Vincent and Birgit Delaidatti, accompanied by pianist Kaie Põhi Latterner and flautist Leelo Valdsaar Basham; and prayer/invocation by Mr. Henn Rebane, one of the Society’s/Selts’ founders. The highlight of the lunch that followed was the dessert: two birthday kringlid (thank you, Virve-Kai Bulla! ), a chocolate cake with candles, and a champagne toast (thank you, Tõnu Toomepuu!). Joyously we all sang, “Happy Birthday! Palju õnne Eesti!” and children blew out the birthday candles. Part I concluded with a reading of the poem “Noor Sõdalane“ offered in memoriam by Ms. Urve Põhi. Remarks by The Honorable Ms. Kairi Künka, Consul General of Estonia in New York City, punctuated our optimism for Estonia’s bright future on this most auspicious occasion. In her remarks, Ms. Künka also expressed the gratitude of the Estonian Foreign Ministry to Ms. Lisa Ann Mets, who recently completed her 5-year term as Estonian Honorary Consul in St. Petersburg (FL) and who has “represented our country and protected our citizens’ rights with utmost devotion.” We ended Part I standing proudly singing together the Estonian national anthem “Mu isamaa, mu õnn ja rõõm” (F. Pacius, J. Jannsen). We were delighted to introduce a surprise from Estonia: A box of “Yummy Questions” was distributed to each table. According to the box, “Yummy Questions” started in 2015 when three Tartu Jaan Poska Gymnasium students created a student company. Their mission was to introduce Estonia to the world. With every EV100 Yummy Questions purchased, they donate 5% to a youth entrepreneurship fund to give teenagers the chance to gain the experience they had. The questions were fun and informative and the chocolate was, indeed, yummy! We also drew raffle tickets for our ever-popular lottery. This year we raffled off baskets. Thanks to KFES members, the baskets overflowed with products representing Eesti and Florida. Six lucky tickets were drawn. Our musical and dance program was built on talent living in Florida and our New York City dance collaborators from Saare Vikat. Eesti laulud/Estonian songs filled Part II of the program. We were charmed by the following songs performed by Ülle Laido and Dermot Somerville, Vincent and Birgit Delaidatti, and Rein Männik; and we enthusiastically joined in for the audience sing-alongs. Particularly moving for all of us were the introductions to the songs. We, of course, all know the significance of “Mu isamaa on minu arm” sung at Estonian song festivals under oppression and in freedom. “Ood Põhjamaale” is based on a poem by Ülle’s mother set to music by Ülle and Dermott as a Mother’s Day gift. Birgit Delaidatti explained that “Laul Põhjamaast” brought Estonians to tears in Estonia at productions of Pippi Longstocking; Estonians understood the hidden messages in the song. “Läbi päeva ja öö,” explained Rein Männik, was written by an Estonian-Canadian who had not visited Estonia. Likewise, “Tallinna Teel” was written by an Estonian-Canadian to a Gordon Lightfoot tune. In sum, the musical program expressed the love we hold for Estonia deep in our hearts, whether we have been living in Estonia or abroad. The dance program concluded with members of the audience joining in on the Perekonna Valss. What fun! Kaie Põhi Latterner offered closing remarks. As is tradition, flowers were presented to our performers as an expression of our deep appreciation. Then we all gathered on the terrace for a celebratory group photo. Based on remarks offered by our guests as they departed, we may declare this celebration of EV100 a success. In sum, today was a day to celebrate Estonian history, perseverance, culture, music, dance and language. As we exclaimed repeatedly, “Elagu Eesti!” What was clear to all is this: The Estonian Society of Central Florida/Kesk Florida Eesti Selts is comprised of members—refugees and their descendants and our newer immigrants and our loved ones—who have remained true to Estonia and given their all to fight for Estonia’s independence under Soviet oppression and for Estonia’s secure future as Estonia prospers in its new period of taas iseseisvus (re-independence). The Estonian Society of Central Florida/Kesk Florida Eesti Selts expresses deep gratitude to the following for financial support for this event: (1) Integratsiooni Sihtasutus Eestis (Eesti Vabariik 100 väliseesti kultuurühingute projektikonkurss toetus/A fund in Estonia dedicated to helping celebrate the Estonian centennial around the world; and (2) Eesti Rahvuskomitee Ühendriikides/Estonian American National Council. This event was planned by the Estonian Society of Central Florida Board/Kesk Florida Eesti Seltsi Juhatus: Kersti K. Totsas Linask, Lisa A. Mets, Triin Karr, Anneliis Kuusik, Marju Dishmey and Maare Kuuskvere. The musical, song and dance program was conceived, organized and directed by Kaie Põhi Latterner, an amazing musician herself who accompanied us, the singers and the dancers on the piano and accordion. Please click on this KFES EV100 Kava 2018 to view the printed program and our expression of gratitude to all those who made this day such a special success. To view the Proclamation signed by the Mayor of the City of St. Petersburg, Florida, declaring February 24, 2018, Republic of Estonia Centennial Day, please view the post on this web site. This event also is dedicated to the centenary of the Republic of Estonia. Here is a gallery of photos of the day. Enjoy! Kersti K. Totsas Linask, Kersti Kõlu, Mai Kibena and Urve Põhi. Kesk Florida Eesti Selts EV100. March 10, 2018.